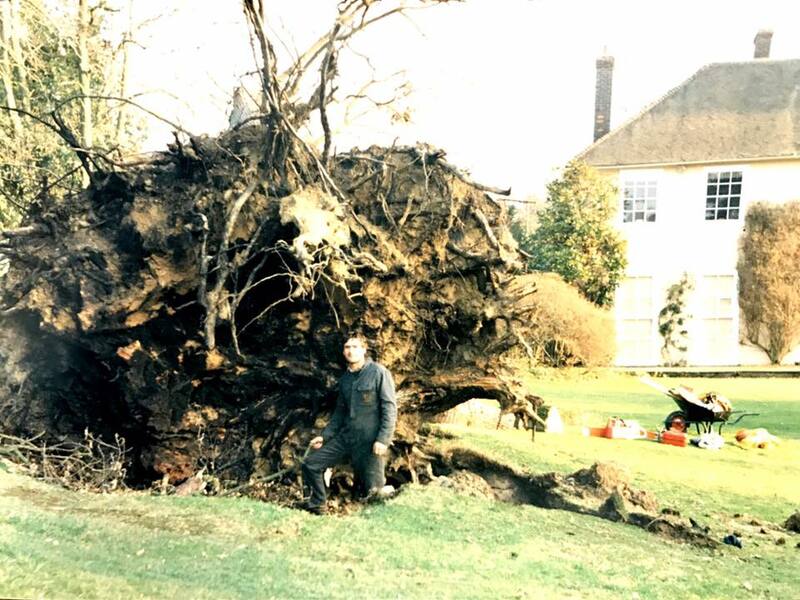 Eight years into the company’s life, the great storm of 1987 hit southern England. Down to Earth was the leading contractor involved in the initial emergency response and lengthy clear-up operation in and around Sevenoaks, one of the worst hit areas in the UK. The storm felled trees like matchsticks, creating potentially dangerous situations requiring great skill and care. The problems created by the storm gave the company a broad skill set and range of experiences which set it up well for its future growth and expansion. Nearly 40 years on, Down To Earth is the one of the leading tree-management companies in south-east England. It has organically grown and matured over the years to develop into a multi-disciplined, customer-focused business offering specialist arboricultural contracting and consultancy throughout Kent and south-east London. Navin Sehmi and John Robinson are now the two company directors, both with extensive industry experience and qualifications. They oversee their team of highly professional arborists, estimators, consultants and administrators, who all ensure each customer receives a first-rate experience, from the initial point of contact through to the completion of works, with guaranteed customer satisfaction. We still boast the highly-respected Arboricultural Association Approved Contractor accreditation, ensuring the work quality and back office procedures remain professional and to the highest possible standards. Navin also works closely with the Arboricultural Association, having recently been appointed on their board of Directors to assist the organisation with its professional development, ensuring it is continually evolving and leading the way for the industry as it evolves. Call us to discuss your tree work requirements or make contact via the ‘get in touch’ section of our website to arrange a site visit from friendly estimators Paul, Alex or Glenn, who will then follow on with a free, no obligation quotation. 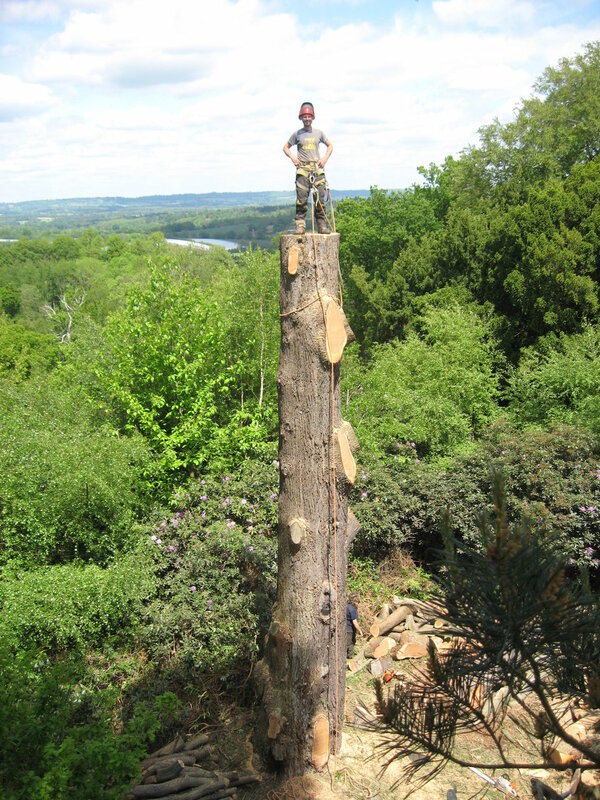 Down to Earth Trees based in Sevenoaks is one of the longest established tree management companies in the south-east. Rooted in 1979, the company began life at a time when the industry was in its infancy in relation to training, equipment and professional standards. Down to Earth Trees’ founder Glenn Morris set out with the objective of becoming the best tree surgery company in Kent. After huge amounts of hard work, much through trial and error, the company was awarded the Approved Contractor Status by the Arboricultural Association (the tree industry’s professional body), becoming one of only two companies to achieve this award in Kent at that time. Glenn used this prestigious award as a springboard to continually aim for higher industry standards, by serving as a member of the Commercial and Publicity committees of the Arboricultural Association he helped set the high standards of professionalism and peace of mind for the customers that Down To Earth serve today. These standards benefit both employees within the industry and customers. Approved companies require continual stringent assessments, including training and site assessment, to ensure the highest standards of work and maximum levels of safety. Down To Earth specialises in offering their clients a ‘one stop shop’ for their tree management requirements, from the planting of a single tree through to very large tree removals in confined spaces and everything in between, including the control of invasive weeds. No job is too big or small! We also offer a one-off or annual hedge-trimming package – in one instance, we have been trimming the same hedge for over 20 years! We also offer a stump-removal service following a tree removal and have a varied range of grinding equipment depending on access or the size of the stump. Down to Earth also delivers consultancy advice and detailed reports on all tree-related matters to an extensive list of private and commercial clients. We work closely with each to create concise tree reports produced in an easy to understand, professional format. We worked extremely hard to achieve ISO 9001, ISO 14001, OHSAS 18001 accreditations in 2017. This award has increased the workload for our already busy commercial arboricultural department, which regularly works for large commercial clients such as the Forestry Commission, the National Trust, The Diocese of Rochester and numerous housing and management companies. Our domestic arboricultural department works with clients who may have just a few trees or larger properties with a woodland. Our team are as passionate about trees as they are about providing exceptionally high standards of customer care.